Omar Mascarell could be on his way back to Real Madrid next summer. 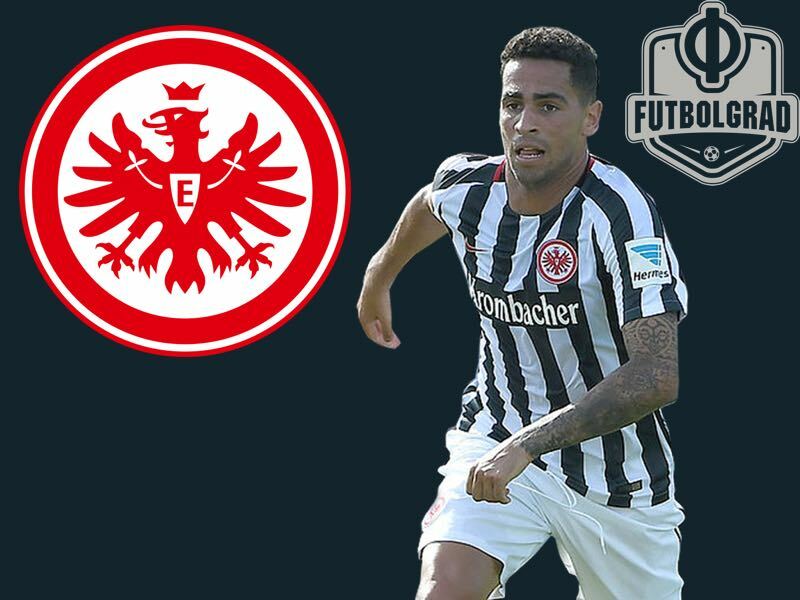 The Eintracht Frankfurt midfield pivot joined Eintracht Frankfurt from Real Madrid for €1 million in the summer of 2016. Real Madrid, however, had a buyback clause installed in the contract, which would allow Los Blancos to resign Mascarell for €4 million. Real Madrid are now seriously considering bringing back the player as they want to increase their midfield depth in the light that Casemiro, Toni Kroos, Luka Modrić, Mateo Kovačić and Isco will all be travelling to the World Cup in Russia this summer. That would leave Real Madrid with just Dani Ceballos and Marcos Llorente in midfield going into the season. As part of bringing back, Mascarell Llorente could be sent to Eintracht Frankfurt either on a similar deal than Mascarell or a loan deal. Real Madrid and Eintracht Frankfurt have a relatively close relationship after Real successfully send Jesús Vallejo on loan to Frankfurt. The defender was one of the best centre-backs in the Bundesliga last season and returned to Real last summer, where he, however, struggled to find consistent playing time. For Omar Mascarell Vallejo’s situation at Real, the defender has played just four games in the Copa del Rey and three games in La Liga this season, is, however, worrying. The midfielder would very much struggle for playing time once all the World Cup players return to match fitness. The fact, that Real Madrid are considering bringing back Mascarell and in turn send another player to Frankfurt highlights the excellent work of sporting director Fredi Bobić and head coach Niko Kovac. Although the club lost on matchday 24—a game that Mascarell missed—Frankfurt are on course for a spot in Europe, and there is a sense of a tactical revolution at a club that has been underperforming for years in the Bundesliga. Hence, it is almost a badge of honour that Real are considering Eintracht players as strong enough to compete for squad positions in Madrid. The question, of course, is whether Real would even hang on to Omar Mascarell? The midfielder has been a critical player in Eintracht Frankfurt’s surge up the table, which sees the Eagles in Champions League contention. A deep-lying playmaker, who manages to combine steel with technical abilities Mascarell is a rare breed and would most certainly attract interests from various big clubs that would be willing to pay far above the €4 million that it would cost Real Madrid to bring the native of Tenerife back to the Spanish capital. Omar Mascarell, for example, is one of the players mentioned when it comes to adding more steel to Borussia Dortmund’s midfield next season. BVB CEO Hans-Joachim Watzke has told German media that the club will target a midfielder, who can add steel to the midfield and is not shy of dirty work. Dortmund, of course, know the player well. Playing for fourth-placed Eintracht Frankfurt Mascarell in turn already knows the league and would, therefore, be easy to integrate into the squad. What are Mascarell’s biggest strengths? What, however, are Mascarell’s biggest strengths? The Spaniard operates most efficiently as the sole central defensive midfielder in Kovac’s 3-5-2 formation. Placed right behind two creative attacking midfielders Mascarell is the first line of defence in front of a three-man defence. Playing in that formation as the sole defensive midfielder means that Mascarell has to be both capable of launching attacking plays, while also have the nerve to break down the opposition’s attack. Eintracht Frankfurt also play a very physical brand without losing sights of the technical aspects of the game. As a result, Kovac’s style is often compared to Diego Simeone and like Atlético Madrid Eintracht have players that do not shy away from sacrificing their bodies, like Marius Wolf, Kevin-Prince Boateng, Marco Fabian and Ante Rebić, but also are technically gifted players. Perhaps the best way of describing the side is to compare them with a group of street footballers. It is a team that can play football without shying away from getting the job done. Mascarell certainly fits that mould. The defensive midfielder is a breaker but at the same time a strategic mastermind—a seldom breed, which again explains why top clubs are interested in signing the 25-year-old Spaniard. There are, however, also downsides. Mascarell has struggled with injuries, which go back all the way to last season. 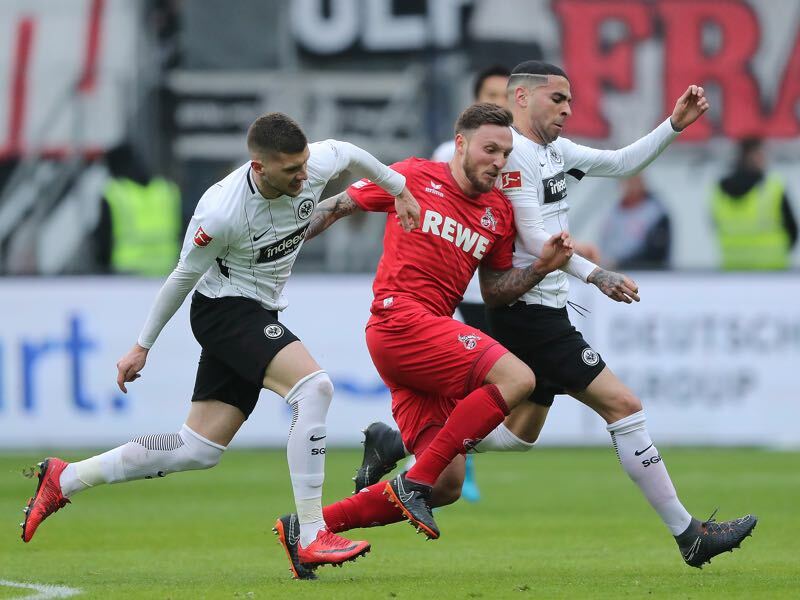 Last season, in fact, Mascarell was one of many players that fell foul to Frankfurt’s demanding football and Eintracht paid a hefty price tumbling down the standings in the Rückrunde. Mascarell has not recovered from his Achilles injury until February and still struggles at times with the long-term effects of his operation that he underwent in June 2017. Fitness is, therefore, a question. But once fit there is no doubt that the Spaniard is one of the fascinating players on his position in the Bundesliga, who could now see himself return to play for one of the biggest clubs in European football. Football In Russia and The United Kingdom: Culturally Compatible Or Worlds Apart?